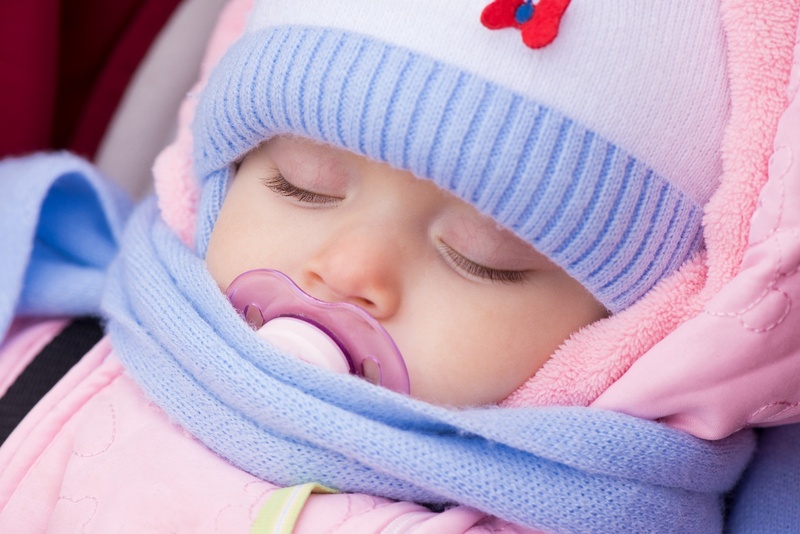 Cold weather is no reason to catch a dose of cabin fever; even for newborns. Unless it’s below freezing, fresh air is healthy for both you and baby. So here’s how to keep your little one warm when you head out. “Unless it’s dangerously cold, being outdoors helps infants acclimate to the seasons and the day-and-night cycle, and it often calms fussiness,” says paediatrician Erika Landau, M.D., coauthor of The Essential Guide to Baby’s First Year. So, if the weather’s reasonable, what do you dress your bubs in? “If you are comfortable with a jacket on top of your clothes, you should have your baby in a jacket or snowsuit and a blanket,” says paediatrician Molly Broder. Layering works better than ultra-thick items because you can dress your infant down if she needs it. Keep the first layers snug, and opt for breathable fabrics. Remember to take off your baby’s coat before securing her into the car seat—”Coats are unsafe because you need to loosen the car seat harness in order to accommodate them, but in a crash they can compress, leaving a big gap between the harness and child, upping her chance of injury,” says Rallie McAllister, M.D., and coauthor of The Mommy M.D. Guide to Your Baby’s First Year. Rather, remove the coat, click baby into the seat, then drape a blanket over the lower half of baby. Also, utilise the car-heating for max cosiness. Once at your destination, try wearing your baby to keep you both toasty; keep head and feet covered, but remove baby’s bulky coat and chunky sweater as body heat will be enough. If baby’s skin turns red, she becomes irritable and her skin is warm, she might be overheating. If her skin is cold to the touch, you probably need to add a layer or two. Meningitis: What Are the Signs?Caffeine in Pregnancy: How Much Is In Your Cuppa?